I am a natural movement & outdoor enthusiast who is always on the lookout for ways to incorporate physical activity into my life. My perfect day would combine outdoor movement, great food & convivial company. Prior to having children, I was a keen amateur aerialist, choosing to exercise by climbing silks and doing drops, and loved to workout in parks and trees hanging and swinging. After kids, I spent our days driving them to kindy gym and looked on, envious, while the little ones got to have fun climbing and swinging while I cheered them on from the sidelines. So I was very excited to learn that The Movement Academy have just commenced Family Aerials sessions for two age groups, 0-5 years and 5-12 years, for parents to train alongside their kids. Family Aerials is not a traditional 'mums and bubs' class. We started off with some mobility and strength drills, and coach Brendan is wonderful at helping participants adapt the exercises to their particular level, while maintaining good form. 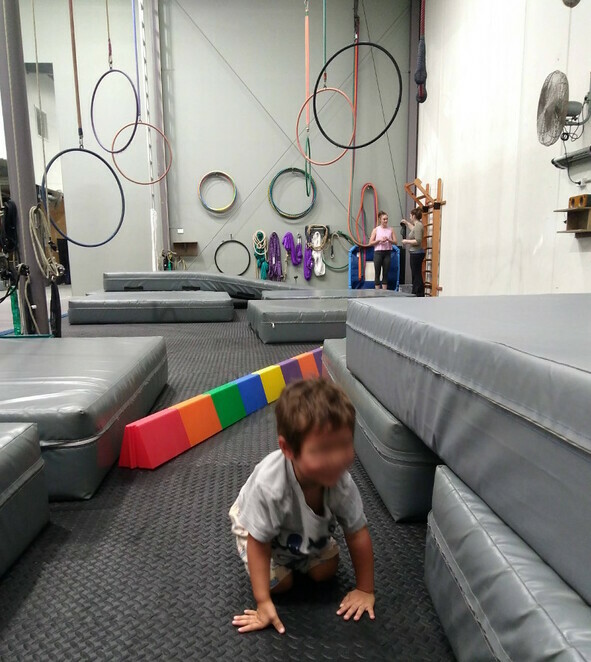 While parents are doing their conditioning drills, the little ones are welcome to either join in or play and jump on the crash mats and play with the circus equipment such as juggling balls and balance beams. The kids had a ball swinging on trapezes and learning doubles moves with their parents. Brendan taught us some cool moves on the lyra (hoop), which felt like a terrific core workout while being super fun at the same time. 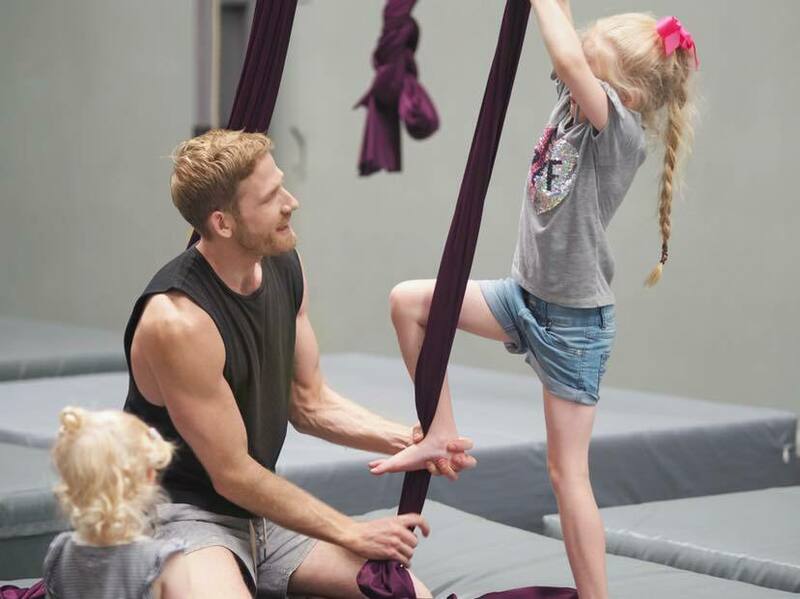 Family Aerials will cover a variety of apparatus taught at The Movement Academy including Lyra, Silks, Trapeze and Doubles as well as conditioning in rings, bars, mobility and handstands to build your overall strength and skill as an acrobat. Coach Brendan caters to movers with plenty of experience or those at the beginning of their journey in the world of aerial acrobatics. Lessons are 90 minutes long.